Chaco Canyon is well off the beaten path. There are no gas stations, no water and no accommodations. But don’t let that deter you! I visited Chaco a few weeks ago. It was a camping trip. Now those of you that know me, know that this girl doesn’t camp unless it’s with an RV magically delivered to the site, fully stocked, with clean sheets. Preferably with a nicely stocked wine refrigerator. But, in keeping with my Lessons from the Road, I decided to stretch my comfort zone a bit. After all, it was only 2 nights and three days. Surely I could cope with that! 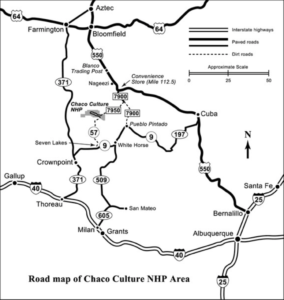 Chaco is located a little over 3 hours north of Santa Fe. Most of the road is paved, and even the unpaved portions are very drivable. Including the twenty one teeth rattling miles from the highway to the park. Expect washboard, lots of dust and the occasional rock. Welcome to the west! Chaco interested me primarily because it seemed to continue a theme of ancient peoples and migrations in the American Southwest. 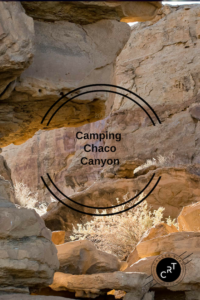 Unlike many national parks that are very user friendly, Chaco is very rudimentary. Dirt roads, no shower, no water, camping and not much else. But first one must make camp. I managed to borrow everything I would need. I had a very nice North Face Tent that slept six, just for myself. An inflatable pad, a sleeping bag and a collapsible chair, and I was in business. Except of course, for putting it all up. But it all came together in time for dinner and sunset. Chaco was once the premier civilization in southwest North America. It was built between 850 and 1150, and comprised of numerous villages and buildings connected by perfectly straight roads that ran for hundreds of miles, all leading to Pueblo Bonita. Along the roadways, fires would provide navigation, much as lighthouses did at sea. The extent of this network and the importance of Chaco as a scientific, cultural and business center cannot be over emphasized. 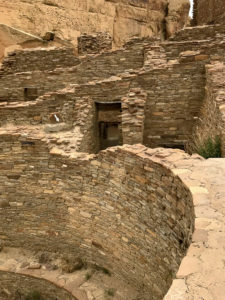 This was the single largest Anasazi settlement of its day, with five story sandstone and wood buildings and many kivas for spiritual practices. The area was hunted, farmed and very much alive. 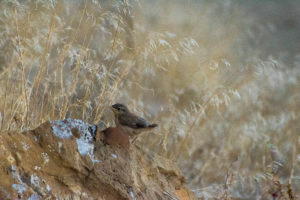 For all the wild beauty of Chaco Canyon’s high-desert landscape, its long winters, short growing seasons, and marginal rainfall create an unlikely place for a major center of ancestral Puebloan culture to take root and flourish. Yet this valley was the center of a thriving culture a thousand years ago. The monumental scale of its architecture, the complexity of its community life, the high level of its community social organization, and its far-reaching commerce created a cultural vision unlike any other seen before or since. 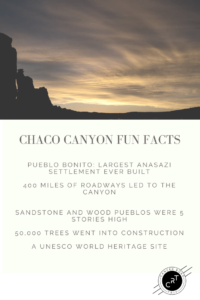 …Pueblo descendants say that Chaco was a special gathering place where many peoples and clans converged to share their ceremonies, traditions, and knowledge. 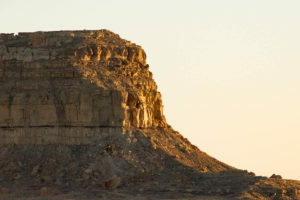 Chaco is central to the origins of several Navajo clans and ceremonies. Chaco is also an enduring enigma for researchers. Was Chaco the hub of a turquoise-trading network established to acquire macaws, copper bells, shells, and other commodities from distant lands? Did Chaco distribute food and resources to growing populations when the climate failed them? Was Chaco “the center place,” binding a region together by a shared vision? We may never fully understand Chaco. Entree to the park is via CR 7900 and 7950. 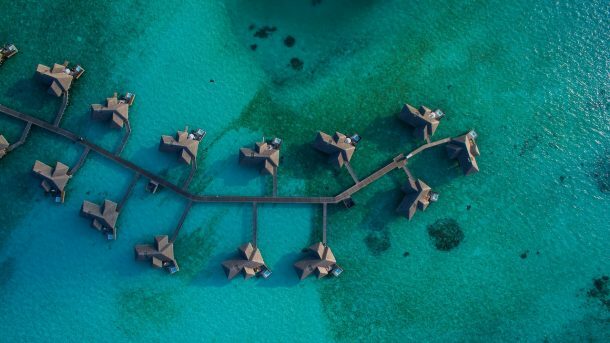 Twenty one miles of dirt road, a few Indian houses, and sandy mesas keep the timid at bay. The last four miles are rather rough, particularly near the Escavada Wash, but once one reaches the park the road is paved, if poorly maintained. An eight mile loop through the site provides access to all the major archaeological sites and petroglyphs. 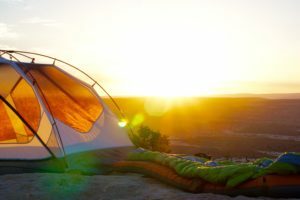 There is one campsite, and reservations are recommended. (It would be a shame to drive all the way out here and be unable to stay. And there are no accommodations for many miles. The closest town is about an hour away.) Plan ahead, check any park restrictions (such as no open fires) and roadway access, and bring lots of water. This is the desert and there is no potable water in the rest facilities at the campsite. 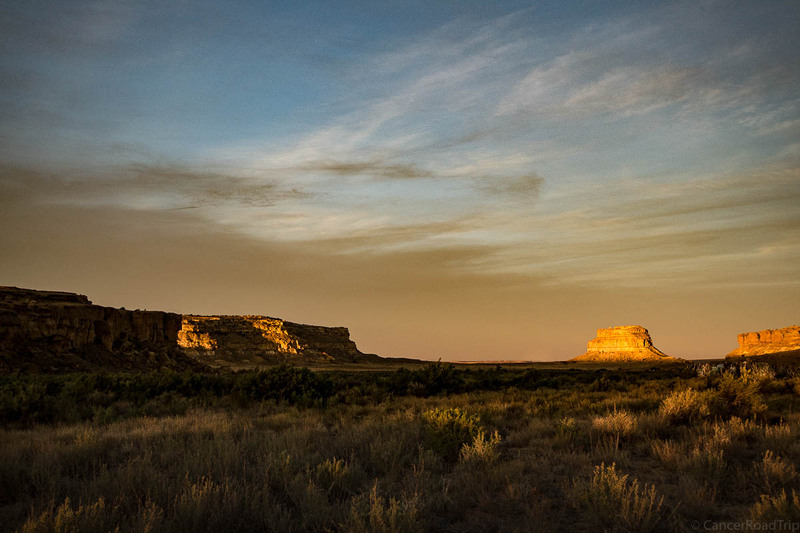 Part of the lure of Chaco is its mystery. 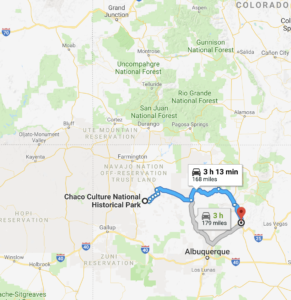 Why was the Chaco chosen as a location? 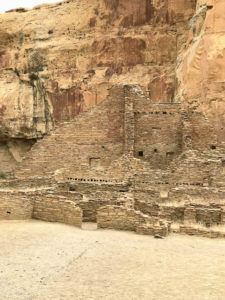 Why after 300 years did the Anasazi suddenly pack up and leave this hub of spiritual life, science and commerce and move to Mesa Verde, further north in southwestern Colorado? In it’s prime, Pueblo Bonito and the surrounding communities were vibrant hubs of civilization. 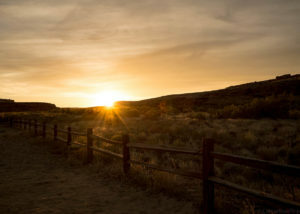 It’s been speculated that Chaco Canyon was a celestial center for study; it was certainly a major trading post; it had deep spiritual traditions which no doubt traveled with the Anasazi when they departed. When the Anasazi left for Mesa Verde, the lineage of the people continued, but Chaco did not. The reasons for the disappearance of the Anasazi are not clear. It may have been weather related: as it was for the Santa Clara Pueblo residents who moved from their cave dwellings, east to the Rio Grande as a result of drought. Or their disappearance may have had other reasons. We may never know the reasons for the demise of this civilization, but the architecture, religion, and ceremonies of the Anasazi have been passed through to subsequent generations. From the adobe buildings that dominate the region, to the traditional Indian dances celebrated at cultural gatherings like the Gathering of Nations, the Anasazi heritage lives on. This history forms a rich tapestry in northern New Mexico that blends native Indian, Spanish and American cultural elements to create a truly unique place, with a deep sense of place that reaches back hundreds of years. And as for the camping: It was just fine! Cold at night. Relentlessly hot during the day. And a sand storm. Chaco Canyon in northwestern New Mexico contains a remarkable set of Ancestral Puebloan buildings. Occupied between AD 850 and 1150, Chaco appears to have been the cultural and political center for much of what is now the Four Corners region. Many sites in the Chaco Culture National Historical Park have been continuously studied for more than a century. Vivian and Hilpert wrote this encyclopedic handbook to help organize the extensive amount of information available for Chaco, as well as to stimulate speculation and encourage further exploration. The result is a highly accessible but thorough reference. The Chaco Handbook includes more than 270 cross-referenced, alphabetical entries, more than 100 illustrations and maps, plus histories of Chaco’s development and ensuing archaeological research. 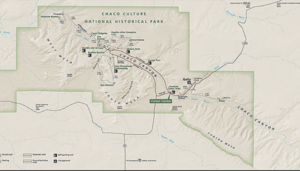 Entries address important Chacoan and related sites, place-names, archaeological and ethnographic terms, objects and architectural features, and institutions and individuals. This second edition includes a new preface, a new chapter on professional explanations for the “Chaco Phenomena,” additional entries, and revisions to existing entries. Useful to anyone with an interest in the Ancestral Puebloans, including specialists, this handbook will guide readers to greater exploration of Chacoan culture and the Chaco world. The Anasazi of Chaco Canyon by Kyle Widner. Perhaps the most fascinating chapter in Southwest history is the tale of the mysterious, “vanished” Anasazi Indians. Their tremendous achievements can be found in many places, including the spectacular cliff dwellings of Mesa Verde National Park. But the crest of the Anasazi wave was in Chaco Canyon, a shallow, windswept wash in northwest New Mexico. Here in Chaco Canyon, 1,000 years ago, strange and unexplained events unfolded; events which continue to intrigue scientists, visitors, and those interested in the Anasazi. During the years 850-1150 AD, the Anasazi built multi-story buildings comparable in size to the Roman Coliseum in Chaco Canyon. Advanced astronomy, water works, and agriculture flourished. Exotic artifacts from Central America were traded over routes spanning thousands of miles. And after 300 years, the Anasazi carefully sealed everything up, left Chaco Canyon, and never returned. The Anasazi of Chaco Canyon offers insight into the unknowns of the “Chaco Phenomenon”. In addition, it draws on the latest Anasazi research, personal experiences, and interpretations of oral traditions, leading the reader to a startling conclusion. What happened in Chaco Canyon? Why did the Anasazi choose this foreboding location to construct spectacular Great Houses?